Celestia and Luna engange in epic battle with the fate of Equestria hanging in the balance. Adorably. In which Twilight Sparkle meets her greatest enemy... double sided sticky tape. 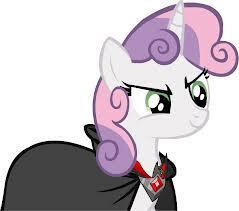 Sweetie Belle obtains the Alicorn Amulet and tries to be evil for a day. She isn't very good at it. 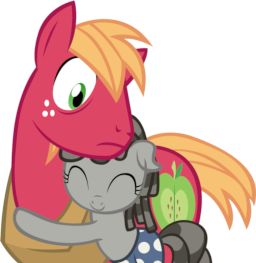 Big Mac is visited by a filly who insists that she used to be a plushy doll. A human finds himself in an odd position. More specifically, in an odd position in Spifire's bathroom. 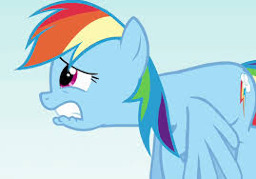 Spitfire is not amused. 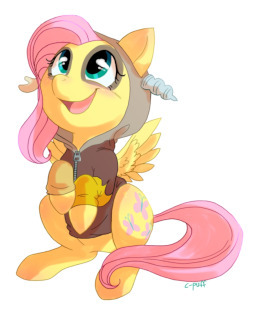 Discord teaches Fluttershy all about mannerisms of proper draconequui. 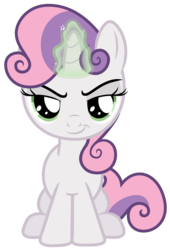 The Great And Evil Sweetie Belle returns with a vengeance as the least threatening villain in Equestria. Sweetie Belle takes a trip to Canterlot with her sister. Now she rules everything. The royal guards are thoroughly baffled. 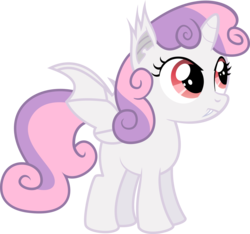 Sweetie Belle sells her soul to a demon in exchange for very evil powers, and proceeds to (fail to) take over Ponyville. Fluttershy's cottage becomes host to a couple of interdimensional visitors. 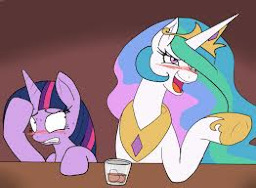 Princess Celestia doesn't exactly drink very often. But when she does, the results are... less than spectacular. 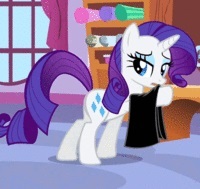 Twilight Sparkle defends her library against the greatest threat in Equestria. 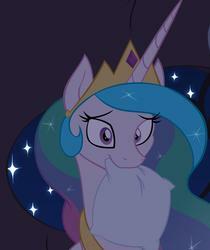 Discord attempts to take over Equestria by proposing to Princess Celestia. Surely even she can see through his ruse... right? 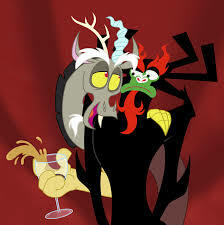 Aku, the shapeshifting Master of Darkness, tore open a portal in time. What he was not expecting, however, was for something peculiar to come out. Soarin gets to be invisible and totally abuses the newfound power. 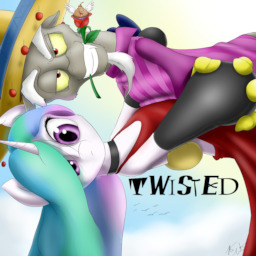 The unsuspecting Rainbow Dash is about to discover this.